april fools day is on sunday. 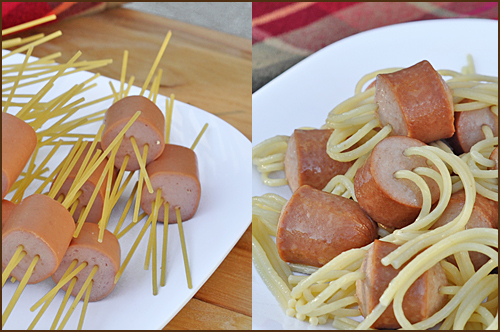 plan ahead with these fun, silly ideas we found to celebrate with your little ones. enjoy! fantastic printable from family fun. 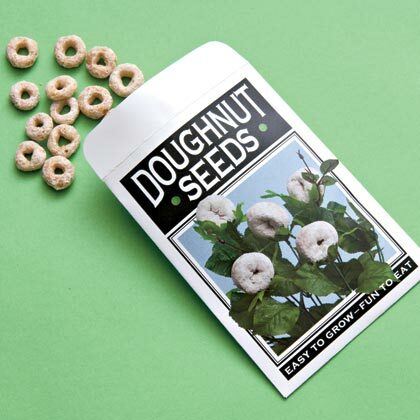 give this double-take seed packet to a budding gardener or slip it into a cereal fan's lunch box. what's that in your apple? For a fruity April Fool's practical joke, get a few gummy worms and carefully poke them into fresh fruit, particularly apples. 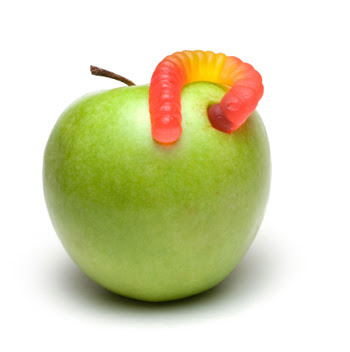 Give mom or dad a wormy apple for lunch and leave a few apples on the table for friends and family members to snack on. bunch up toilet paper and stuff it in the toe of the victim's shoes. 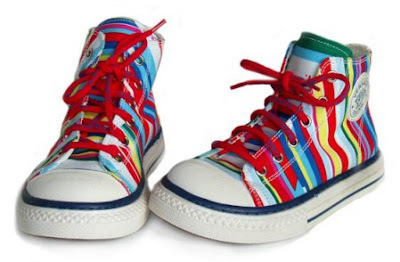 they'll wonder why their shoes suddenly don't fit. 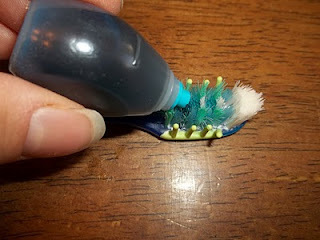 put a small drop of food coloring in center of toothbrush. make sure to use the same color as the bristles. also, you could put some oragel numbing gel deep in the base of the bristles. this might be the most disgusting april fool's day trick....but it's also the yummiest treat! 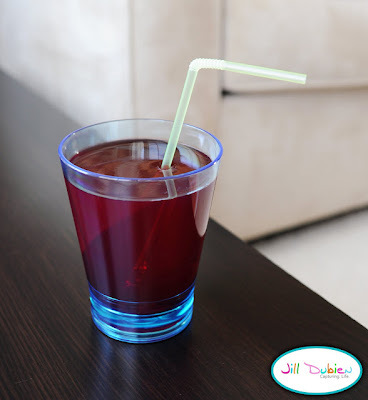 jello disguised at "juice". love it! april fool! 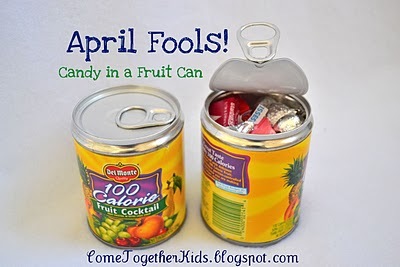 candy in a fruit can. 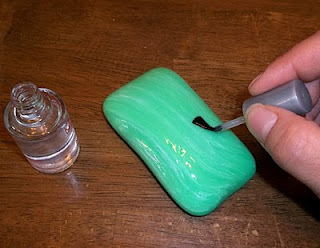 paint soap with clear fingernail polish and leave in the shower. classic. Oh my word, these are hilarious! My friend's dad pulled off the doughnut tree trick years ago...he even planted a tree AND eventually hung real doughnuts off of it. She believed they really grew for YEARS! SO FUN! that is a fantastic story! thanks for sharing!! ha, love these! 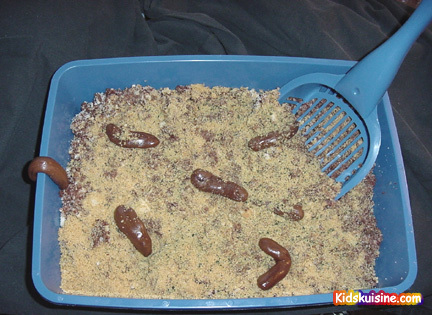 The kitty litter is reeeeeeally gross. April Fools is so fun. I was going to say, "I have to wait til next year to try these, awwww" but...it's still April...there's some wiggle room around April 1, right?